Despite all efforts in the past 30 years to protect Dutch meadow birds, most bird populations of agricultural areas are still under pressure. The main causes are urbanization and agricultural intensification, thus creating a habitat where recruitment no longer outweighs the annual mortality. If you want to counteract this decline, you must first understand where and what exactly goes wrong. Does the problem arise during the breeding season by e.g. low nest survival, high chick mortality or poor condition of adult birds? Or just in a different phase of the life cycle, e.g. by mortality in the first year or problems during migration and wintering? Such a comprehensive question requires a very thorough population study over a longer period at a large spatial scale. In 2004, the University of Groningen therefore started a long-term Black-tailed Godwit research project in Southwest Friesland, one of the strongholds of this species. Individual variation - In order to explain changes in population size, it is necessary to understand what factors drive the developments and what role individual characteristics as partner and territory choice, timing of the breeding season, investment in reproduction and wintering strategy play in relation to environmental factors (management, vegetation, waterlevel). Genetic variation - Godwits are extremely loyal to their nesting place. Substantial isolation of different populations breeding in the modern agricultural landscape takes with it the risk of genetic impoverishment and increased inbreeding. We would therefore like to know the genetic diversity and the age structure of the population. Population structure and habitat choice - Godwits withdraw more and more into the last strongholds of the species while in between those core areas increasing "white areas" can occur. 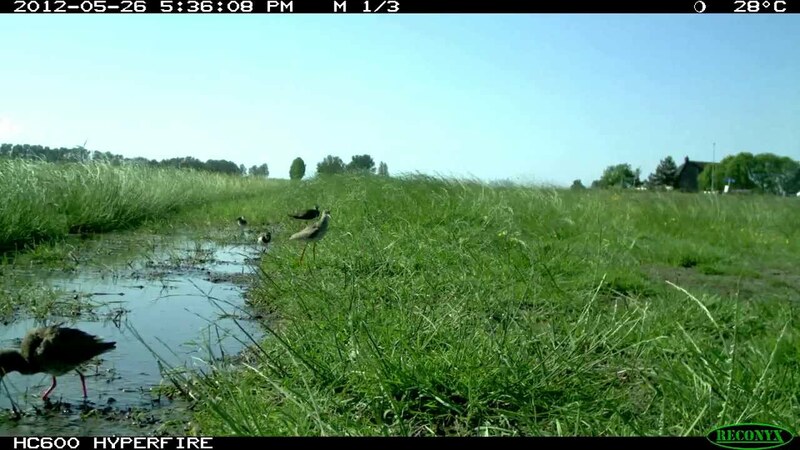 However, it is far from clear whether those good godwit territories realize adequate reproduction for a stable population and which parameters define a good godwit habitat and what this means for management and protection. Migration and wintering - It is clear that the situation in the breeding areas is the main factor in the decline of Black-tailed Godwits. But we still know very little about how the migration and wintering strategy affects survival and reproduction. These type of questions are not only scientifically interesting but make an essential contribution to the implementation of an effective protection of meadow birds. Black-tailed godwits come to South-West Friesland to breed. Their nests are often sought and marked by local voluntary bird-guards to protect them from agricultural activities and counted to determine the number of breeding pairs. Most bird-guards cooperate with us in this project and report the location of the clutches they find. Only just before hatching, a walk-in cage is placed over the nest in an attempt to catch the adult birds. We deliberately wait that long to reduce the chances of clutch desertion and to increase the chance of a successful catch. Biometric data of each bird are recorded and we take a blood and feather sample. Then, each bird gets a metal ring of the Dutch Ringing Centre (NIOO) and a unique combination of color rings which allows us to identify the bird in the field without having to catch it again. Even large chicks can thus be made individually recognizable but nestlings only get a coded flag because a complete color ring combination is too large for them to handle. The ring combinations are also noted and passed on by birders in the Netherlands, South-West Europe and as far as West Africa, making it possible to unravel the wintering, stopover, staging and nesting areas of the birds from our study area. Last modified: 01 April 2019 3.59 p.m.